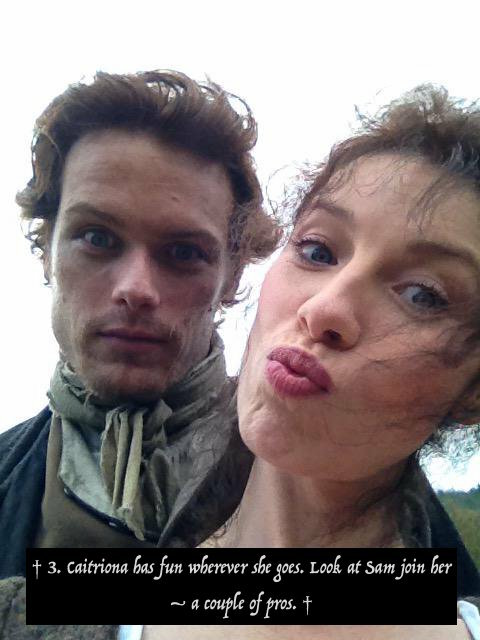 Day 18 of Outlander Starz’s offerings was a live-feed video of Caitriona Balfe and Sam Heughan. The stars of Outlander took a break from filming (actually, Caitriona had just wrapped for the holidays) to answer questions from the fans. You can watch via Facebook through the twitter link below . 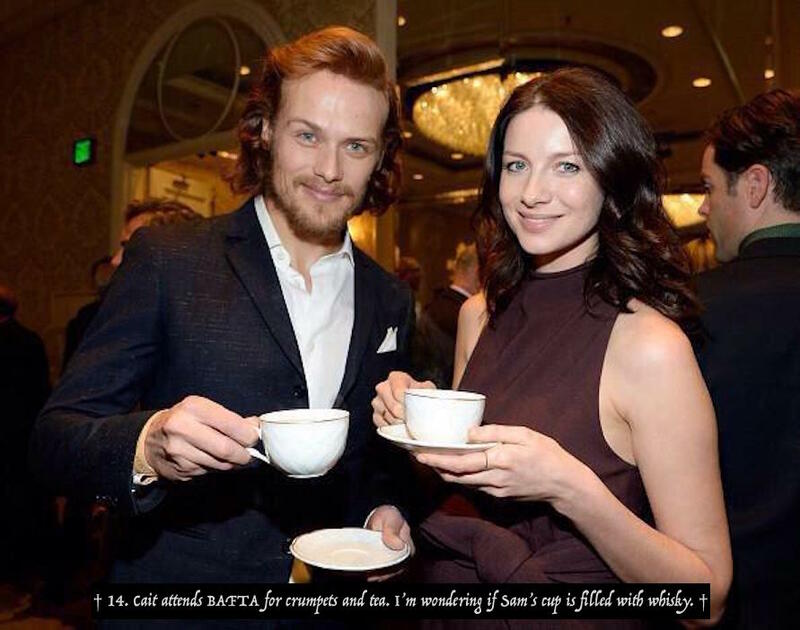 . .
Caitriona and Sam have given very generously of their time to the fans since the start of all this Outlander madness. I decided another short walk down memory lane might be fun, so I combed through the archives (i.e. 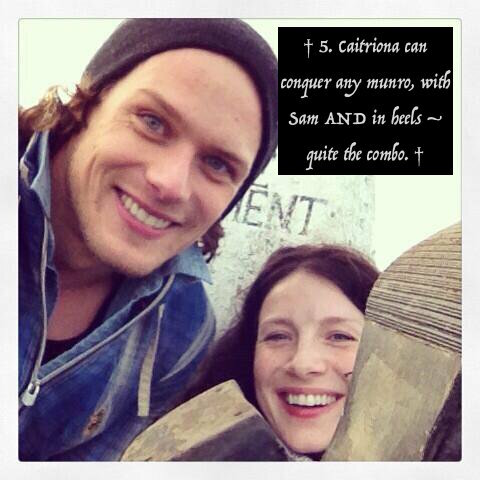 the internet) for a few of Caitriona and Sam’s most precious, sometimes hottest, moments. 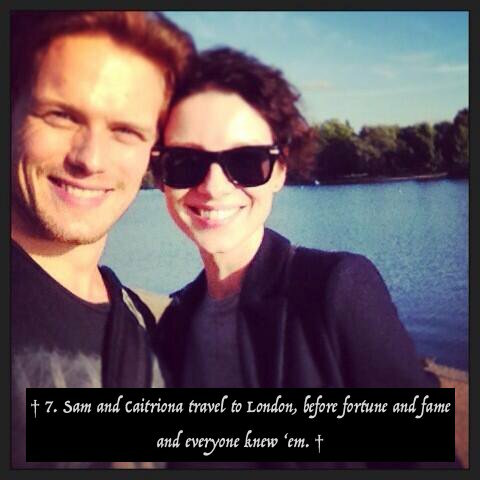 Here’s a sampling of my 18 favorites – most of which are when Sam and Cait are simply being themselves. 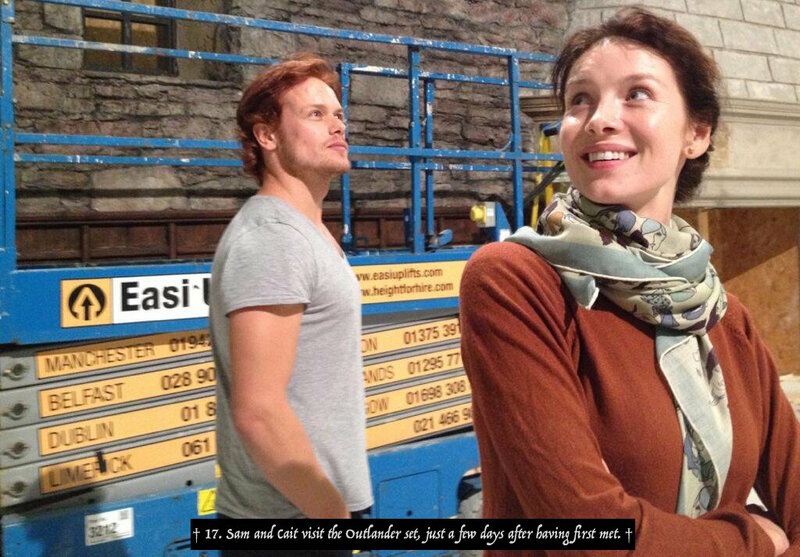 Am not a “shipper” (a fan who believes Sam & Cait are in a relationship) but these two seem so utterly perfect for each other, it’s kind of hard not to be !! I don’t know that term “shipper” but I get your meaning. I don’t stick my nose in that part of their lives. 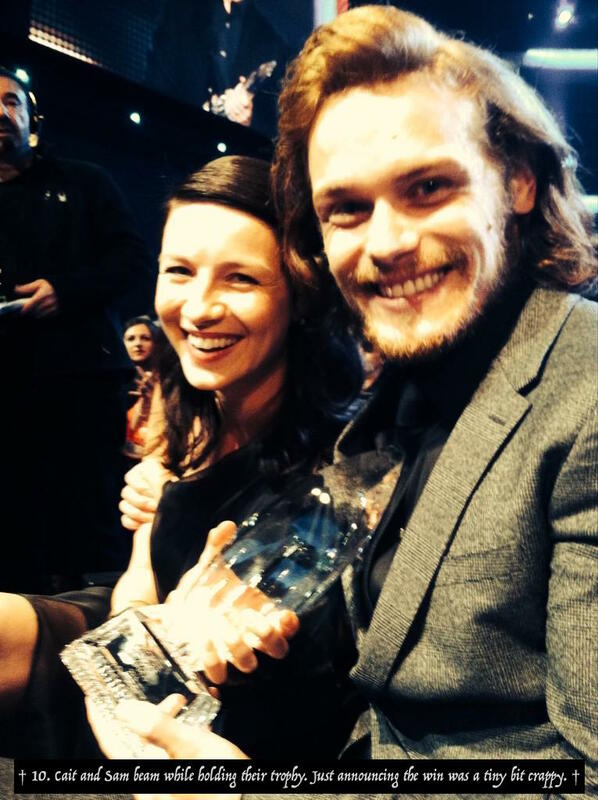 It’s such fun to see Sam and Cait as who they are out of their Outlander characters, although their own characters are pretty outstanding! Happy Break to cast and crew – so well-deserved. Peace. 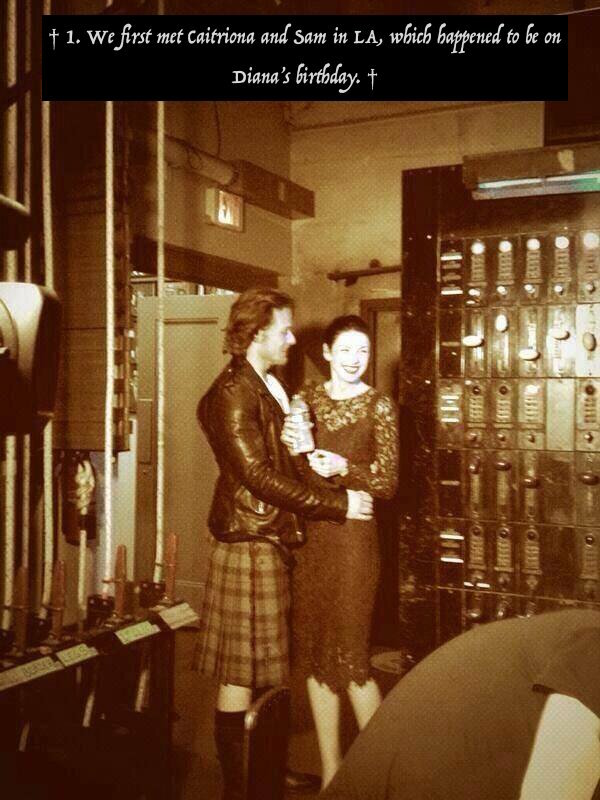 Love the Sam/Cait pics! Think they were live tweeting during episode 9. Thanks so much for the correction! Could have sworn it was The Wedding but didn’t check my facts. 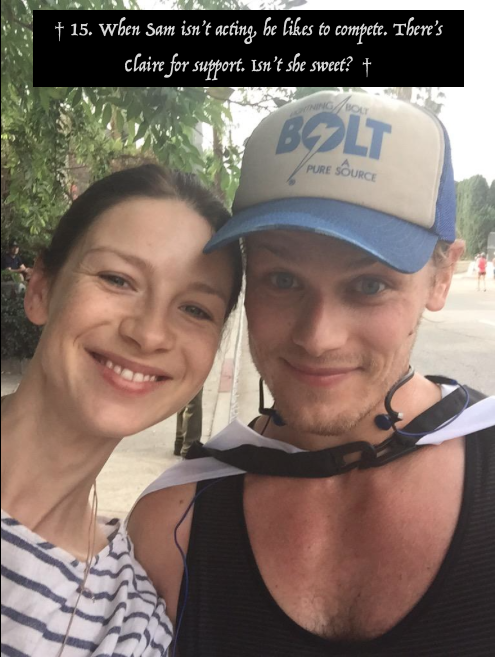 Is this damage control after this week, Crazy Days and Night outed Sam and his fake relationship with Caitriona Balfe? She has another boyfriend, a music manager called Tony McGill. They’ve been dating for almost two years. 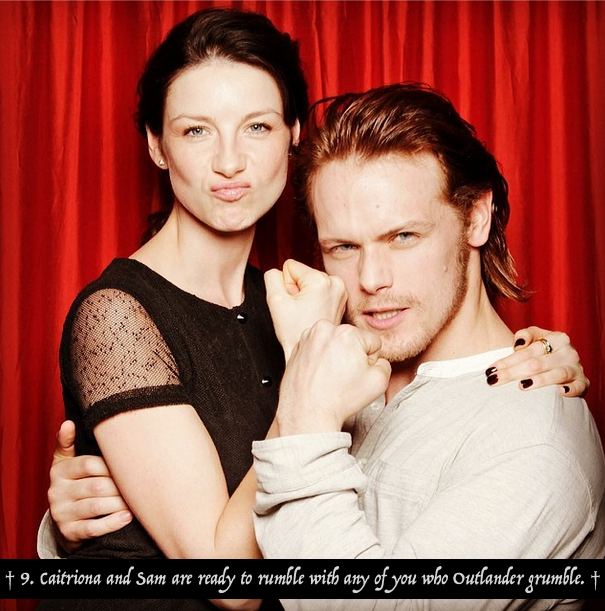 I do not know anything about Sam or Caitriona’s personal life, except what they each share. 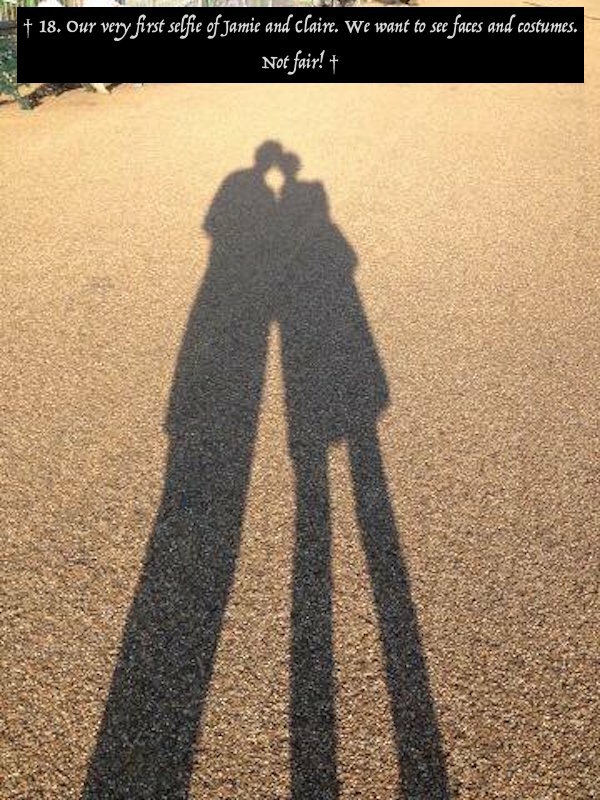 This post is not meant to imply a relationship between the two of them beyond friendship. So, no – no damage control being attempted. 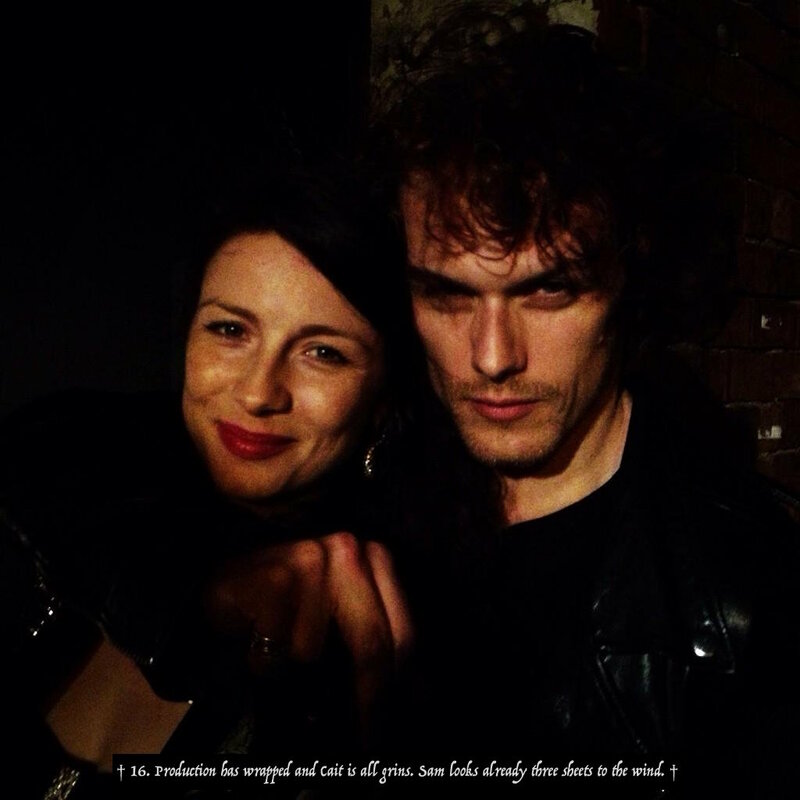 Beautiful pictures….I especially love the one of Sam in suspenders.